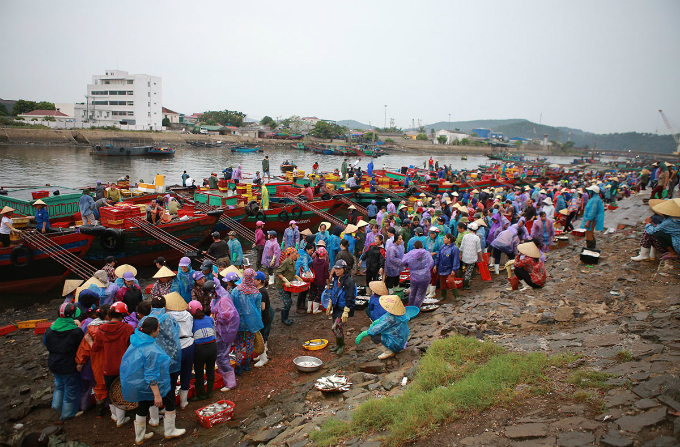 Raincoats worn by buyers lend festive hues to an open seafood market in Nghe An Province. 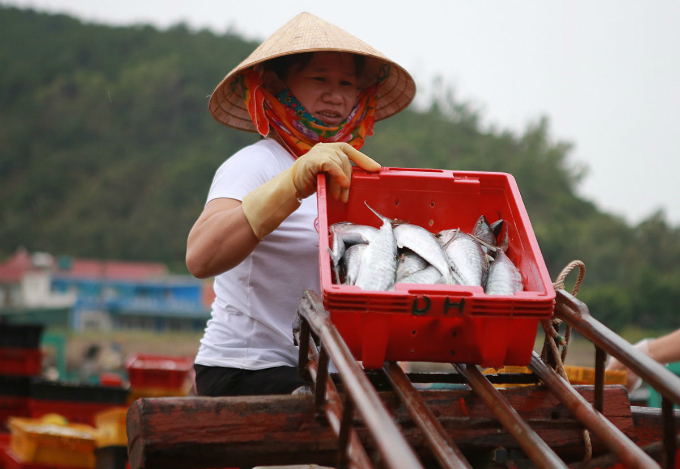 At 5 a.m., the seafood market that springs up in Cua Lo Town's Nghi Thuy ward every day is an explosion of colors as hundreds of boats, thousands of brightly colored crates and raincoats, millions of different kinds of silvery fish, conical hats and colorful scarves mingle together. 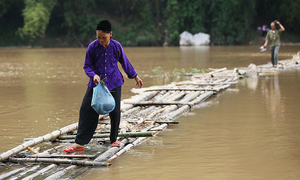 A woman wearing a conical hat and scarf pushes a fish basket down the slide from the pier to the shore. Four plastic crates of fish are weighed. 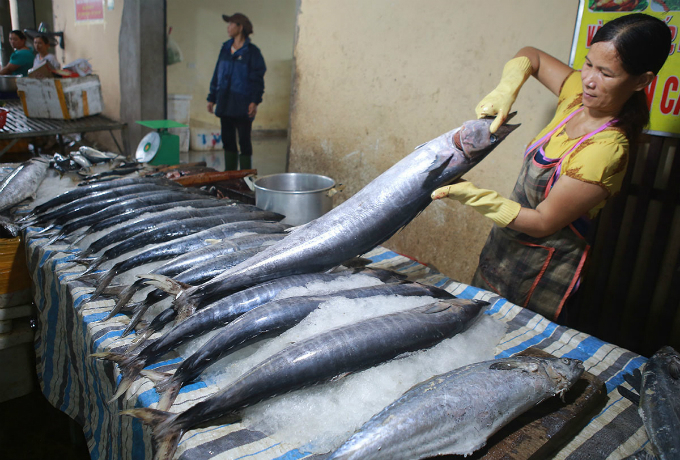 Nguyen Canh An, a boat owner, said that a mid-size boat can earn up to VND50 million ($2,100) after a two night-catch of more than two tons of fish. 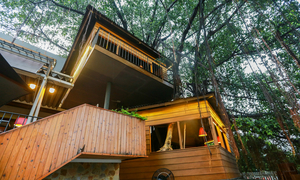 A smaller boat would earn between VND20-25 million. 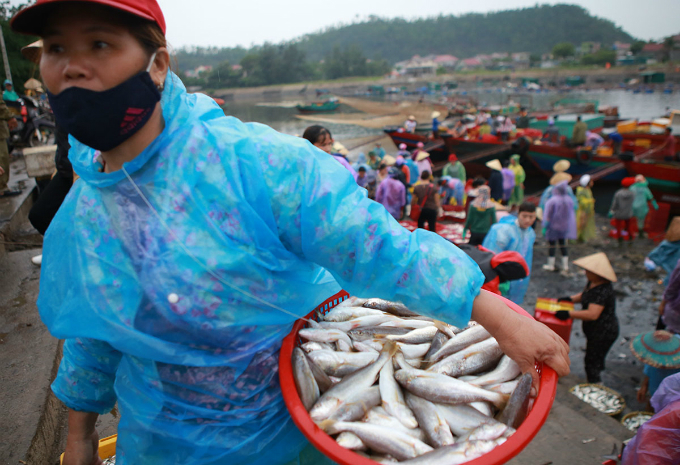 A woman in a blue raincoat walks away with a basket of fish. The market has different types of fish, including herring, albacore tuna and scad mackerel. Transactions take place as soon as the fish are brought ashore from the sea to this pier. 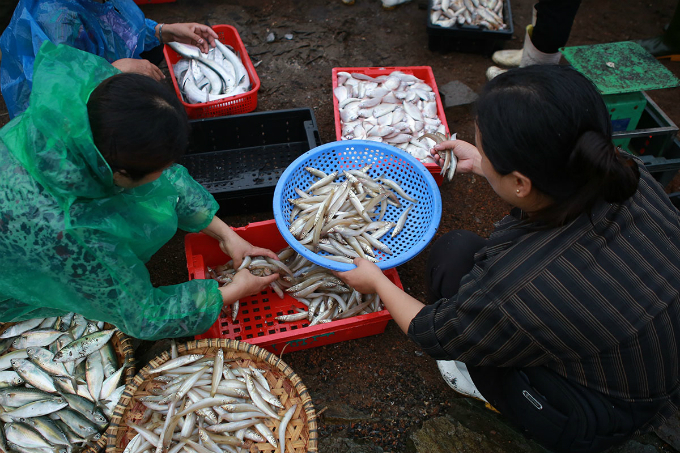 Some nearyby shops sell fish to middle men and other buyers. 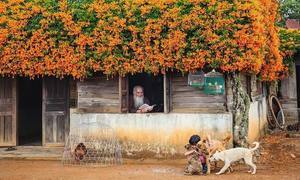 Depending on the season, some shops sell up to a ton of fish per day. 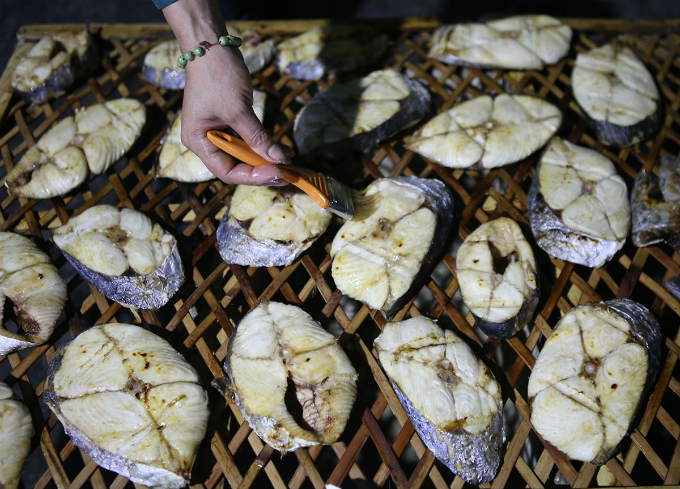 Coals glow bright as different kinds of seafood are grilled right at the area. 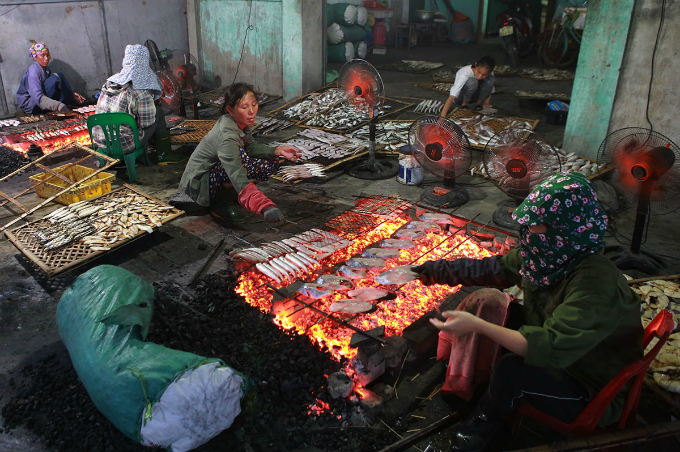 Depending on the species, the fish are grilled for 10-30 minutes. 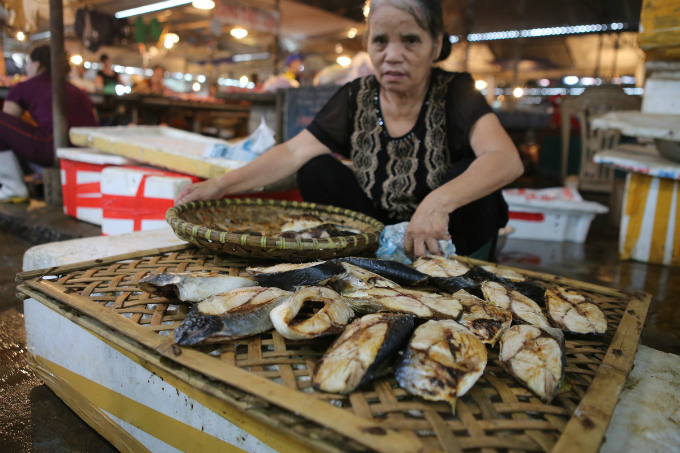 A woman applies a marinade with a brush to grilled mackerel slices for selling at local wet markets. 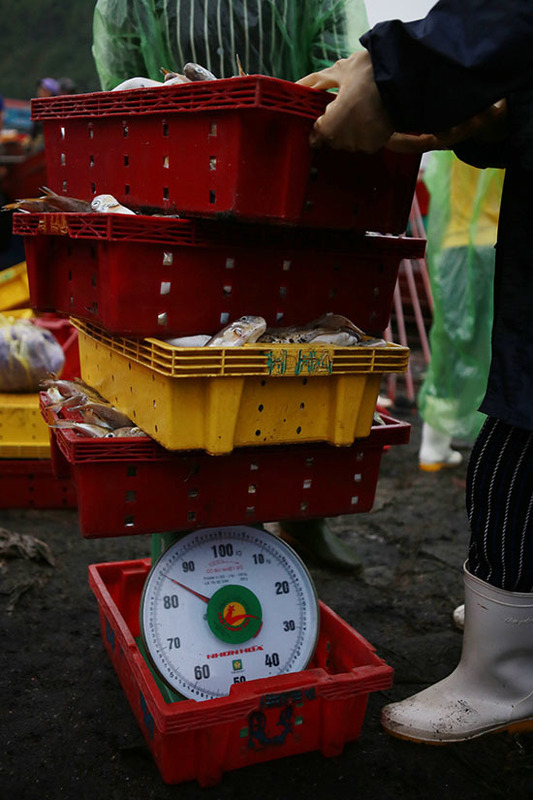 Grilled fish sold at a morning wet market costs between VND80,000-VND350,000 per kilo.